Country singer Alan Jackson asks in a song, “Where were you when the world stopped turning that September day?” We will all remember it vividly for the rest of our lives. 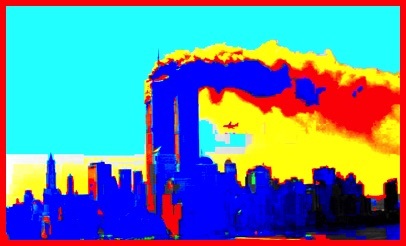 It is my thesis that the world changed on September 11, 2001; that 9/11 was the day the 21st century truly began. I realize that the words above may sound trite. If they were meant as a merely sentimental expression the statement would indeed be a mere cliché, not a serious point of discussion. I do not, however, put it forward for its emotional impact. I believe it is true and meaningful as a statement of historical interpretation. I do believe that the course of human history was redirected on 9/11/01, and that it is the date of the true beginning of the 21st century. I also believe that it is important for Christians to know so, and to understand why it is so. God has placed us at a crucial turning point in history, and hand laid upon us the obligation of living for him and representing the Lordship of his Son at such a time as this. My first point is that September 11, 2001 was the effective beginning of the much-ballyhooed “New Millennium.” Far from being the “Age of Aquarius” envisioned by New Age dreamers—harmony and understanding, sympathy and love abounding, and all that—the oncoming era will reveal new developments in ancient, unsettled conflicts. I further suggest to you that the terrorist attack on that bloody day was neither a fluke, nor a mere blip on the radar screen of history. Rather, it is the herald of the kind of world we will be living in for a good while. In particular, the shocking attack and devastation of the World Trade Center and all the social and political repercussions that continue to issue from it, constitutes something I call a shattering event. What is a shattering event, and why is 9/11/01 the first day of the 21st century? Read the full essay here: The New World Disorder.